As a new father, your child's well-being is your responsibility. While looking at schools and saving for college might be the first things that come to mind, it's also important to make sure your baby receives the proper medical care so he or she can grow up healthy and strong. Vaccines are an important part of your little one's development, but misinformation floating around could have you rethinking your next doctor's visit. Here are some myths about vaccines debunked just in time for National Immunization Awareness Month. 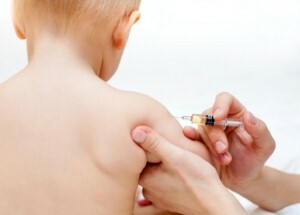 One of the most harmful myths about vaccines suggests they're direct causes of child autism. While recorded instances of autism have been on the rise recently, there has been no scientific evidence that immunizations are responsible for this trend. Without proper vaccinations, children and adults are at much greater risk of contracting serious illnesses. In America, it's easy to think that frequent vaccinations have eliminated many major diseases like polio, but this is far from the truth. While there are significantly fewer instances in the U.S., there remain several documented cases of illnesses like measles every year – not including outbreaks abroad. Without the prevalence of immunization, these few cases could easily spread around the country. Since influenza and other immunization shots contain trace amounts of the virus or bacteria, you may be worried that your child could inadvertently contract the disease. However, vaccines hold weakened or killed antigens that allow the body to learn how to fight off and resist the illness. In fact, a child's body could receive multiple shots in one day without feeling any significant effects.